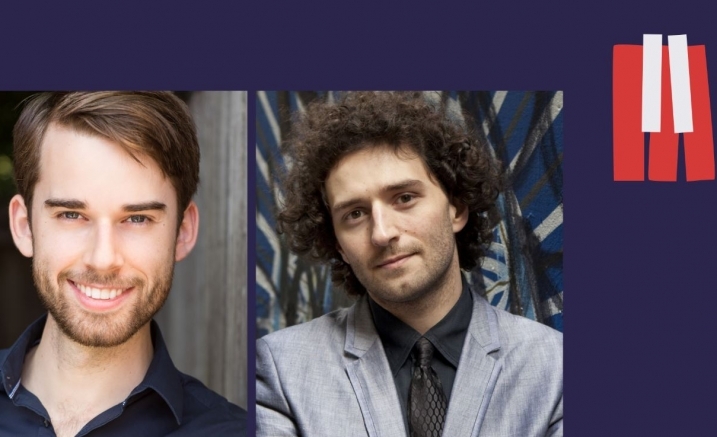 Brilliant young Melburnians Jeremy Kleeman and Stefan Cassomenos join forces to introduce the 2019 Melbourne Morning Masters series with a concert of spectacular songs from around the globe. Ravel’s award-winning Folk Songs are a musical magic carpet ride through five rich and vibrant cultures: Spanish, French, Italian, Jewish and Scottish. The journey continues with Vaughan Williams’ wayfaring Songs of Travel, settings of poems by Robert Louis Stevenson. Two miniature masterpieces from the pen of arguably the greatest song composer ever, Franz Schubert, complete the program. Join us for morning tea in the ground floor foyer from 10am. Season tickets available now from Musica Viva. Melbourne Recital Centre Members enjoy waived transaction fees and save 10% on tickets to selected concerts? Click here for more information.